The eve of World War 2. Hitler is finalizing plans for the conquest of Europe and flexing his muscles in Spain, while the Japanese are poised to invade China, and eyeing off the resources of the East Indies and Indochina to fuel their war machine. 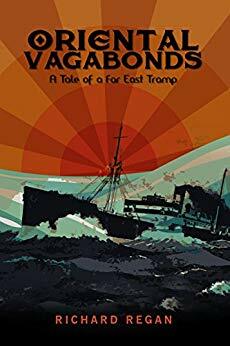 Dangerous times, but there are still profits to be made by men like hard-bitten Skipper Bill Rowden and his vagabond crew, as they work their aging tramp steamer around the treacherous waters of the Far East. Uncharted reefs, tropical storms, corrupt officials, smuggling and piracy are all in a day’s work to Rowden and his crew, which includes an embittered hard drinking aristocrat, a knife-wielding Welshman and a hot-headed, hard-fisted Australian. On what begins as a routine voyage to New Guinea, Rowden discovers an illegal shipment of arms concealed in his ship, setting off a chain of increasingly dangerous events that drag him unwittingly into the center of Nazi, Soviet and British attempts to gain the upper hand, before war finally breaks out. Entangled with Chinese warlords, triads and a beautiful Russian adventuress, Rowden narrowly escapes Shanghai before the bombs start to fall, but his enemies are closing in. Deep in the Pacific, in a remote coral fringed lagoon, Rowden and his crew face a violent and explosive confrontation, with little more than fists and wits to keep them alive. $2.99 on Kindle.